In this first installment we round up the most essential boxed sets, reissues and other historical collections of 2018. 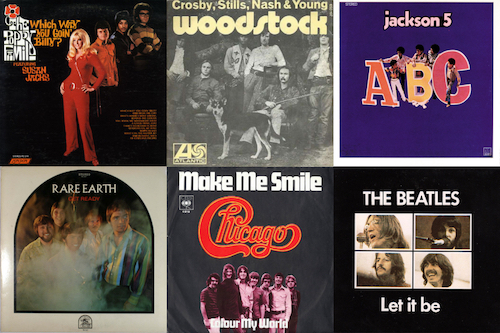 In part two we will make our suggestions for the best new releases by classic rock artists. In part three we will highlight the top new holiday music albums. And in part four, we’ll recap the year’s best music books. The list is arranged alphabetically by artist (record label in parentheses)—no rankings here because they’re all worthy. All of these are available on CD, many also on LP and digitally. The guide does not include titles released on vinyl-only. 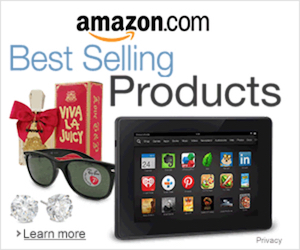 Ordering links are in the capsule reviews and at the bottom of the page. Hope you find something you like! We sure did! Like many of the titles released this year, this came out in several different configurations. The high-end box offers a single-CD with several outtakes and alternates, a two-LP vinyl plus 45 single, an audio Blu-ray and a beautifully illustrated book. But however you listen to it, it’s the fresh Bob Clearmountain mix and brilliant remastering of the original 1968 album that gets the applause. A deep, behind-the-scenes look at how the 30-song, double-album masterpiece came to be, the six-CD/one-Blu-ray displays a quartet that still enjoys making music together, even as they were splitting apart. Newly mixed to perfection by Giles Martin (son of George), the Super Deluxe includes the 27 stripped-down Esher Demos, plus other tunes that would find their way to other projects (including Abbey Road and solo albums), a whopping 50 session recordings of in-progress tunes and outtakes galore. 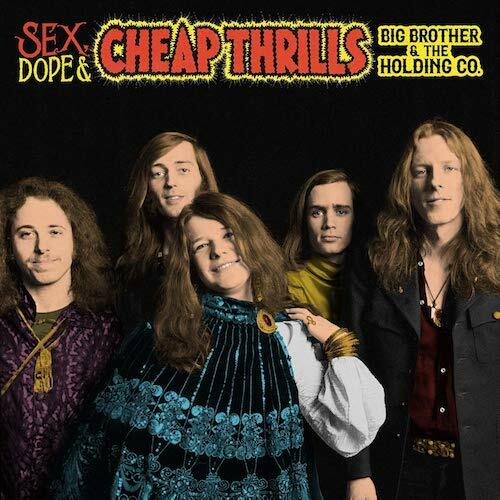 The two-CD, 50th anniversary companion piece to Janis Joplin’s breakthrough album “restores the band’s vision and intent in an essential new collection of 30 rare performances including 29 studio outtakes from the mythic 1968 sessions,” said the label’s original announcement. Only five of its tracks have been previously released. The fourth in a series of career-spanning boxed sets, this one contains 11 CDs, among them three original studio albums, two live sets (one previously unreleased), a new production of 1987’s Never Let Me Down and two new compilations. Read more about Bowie here. He may have been dumped from the Mac, but Buckingham has plenty of history to draw from as he heads back into his solo career. The three-CD set serves as an overview of his career (mostly), minus that band he was in for 40-plus years. It includes album, live and alternate versions, songs from his 2017 album with Christine McVie, film work and more. 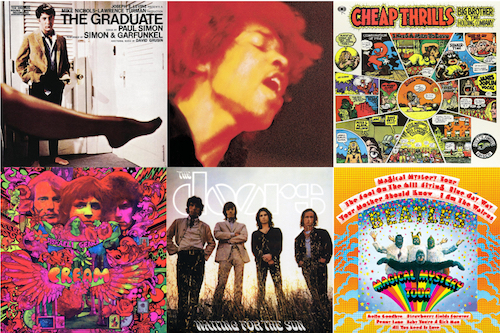 The five discs include all three of the band’s original ’60s albums in stereo, plus two of them in mono. No bonus tracks or any other surprises, just their original output in stellar fidelity. From 1964 to 1968—in between recording sessions with the Wrecking Crew, touring with the Beach Boys and recording his own albums—Campbell was recruited to record songs for Elvis Presley. Now, 18 of these recently unearthed and unreleased recordings have been released together. In addition to the eight tracks from the Gene Clark Sings for You acetate, recorded in 1967 after he left the Byrds, there are an additional five previously unknown tracks from another 1967 acetate given to the band the Rose Garden for recording consideration. This new compilation also includes a previously unissued demo rescued from a tape, “Till Today.” Fans of Clark may also want to check out fellow former Byrd Chris Hillman’s single-disc The Asylum Years, focusing on his solo output of the ’70s. 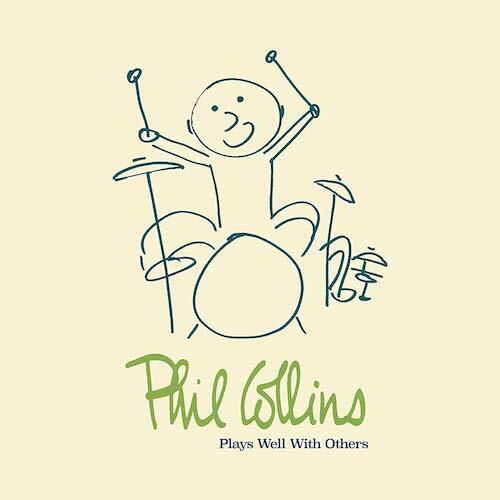 In addition to Genesis and his solo recordings, Collins has loaned himself out to numerous other artists. These four discs feature his collaborations with everyone from Eric Clapton, Robert Plant, Paul McCartney and George Harrison to David Crosby, Joe Cocker, the Four Tops, Tony Bennett, the Bee Gees, and others. He’s been around long enough—and is prolific enough—that this retrospective fills six CDs easily. In addition to all the hits it includes demos, rarities and 15 previously unreleased tracks. The original album, their third, was somewhat less exciting to behold than the two that preceded it, but still a solid effort. The new deluxe set adds rough mixes and some live tracks from Copenhagen. The 14th installment in the “Bootleg Series,” released in two-CD and six-CD formats, chronicles the process behind the writing and recording of the 1975 masterpiece Blood on the Tracks. The expanded edition includes every surviving take of the original sessions in New York and Minneapolis—over 70 previously unreleased recordings in all. The new masters also speed-correct some of the original recordings. As is often the case with collections of session takes, some more casual listeners may find it tedious to hear the same song played over and over again, with subtle differences, but completists will savor it. Earlier in the year, Dylan’s label also released Live 1962–1966: Rare Performances from the Copyright Collections, a distillation of ancient concert performances issued, as its title implies, to protect the copyrights of the material. No big concept here: it’s simply a dozen CDs containing all of Eagles’ studio album, three more housing their live albums and a compilation of singles and B-sides. It also includes two concert videos: Hell Freezes Over (DVD) and Farewell Tour: Live From Melbourne (Blu-ray). Eagles weren’t big on stashing away outtakes and demos and the like, but those looking for everything they released and a small handful of extras can now find it in one well-designed package. Related: Take a look at our 2017 gift guide and see if you missed one! The 22-track single-disc set includes A- and B-sides of each 45 recorded for the Decca label in the 1960s, and the entirety of her Go Away From My World EP. Described as “the first to explore the group’s entire career from its early days playing the blues, to its global success,” the three-disc anthology goes back to the pre-Buckingham/Nicks days and includes material showcasing early members Peter Green, Jeremey Spencer, Danny Kirwan, Bob Welch and others. The three-CD/one-DVD compendium “compiles the key elements of Frey’s music both before and after the Eagles became international superstars,” says the original announcement. Included are live recording and early studio material cut in 1969 with J.D. Souther as Longbranch Pennywhistle. The Dead continued to release tons of archival material this year, the most impressive product being the 19-disc library of every note they played during their trek through Vancouver, Seattle and Portland in the early ’70s. (There’s also a three-CD version available for the overkill-averse). 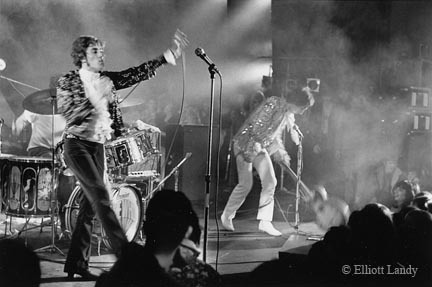 The band’s second album, Anthem of the Sun, also received the 50th anniversary deluxe upgrade, now augmented with a 1967 live show. But true aficionados will want to check out the revealing four-disc set that captures every available recording of Jerry Garcia in his pre-Dead acoustic music years. A massive celebration of a game-changing hard rock record, its four CDs feature 49 previously unreleased tracks. There’s also a Blu-ray audio disc including five bonus tracks and four original videos, a bunch of lithos and a 96-page hardcover book. Another 50th anniversary commemoration, the three-CD/one-Blu-ray Electric Ladyland devotes one disc each to the original Hendrix album, the making of said album (early takes, demos, etc.) and a live Hollywood Bowl show from Sept. 1968. The Blu-ray expands on the “making of” concept in documentary form and includes the album in 5.1 surround sound. Both Sides of the Sky, meanwhile, is a single disc featuring tracks cut between 1968-70, some of which feature contributions by Stephen Stills and Johnny Winter. At first they were something of a jazz/blues-influenced band—they even got bookings at several prominent jazz festivals. That phase didn’t last long but it was captured for posterity on their debut—the only one to feature guitarist Mick Abrahams—which is now getting the 50th anniversary treatment. The three-CD/one-DVD release includes a live BBC session from ’68, various bonus tracks, mono and stereo mixes of the album, radio spots and more. The 50th anniversary edition of Village Green Preservation Society comes in various formats. The super deluxe contains includes 174 tracks in al, including the original LPs, CDs of the remastered original albums plus much unreleased bonus material, reproduced 7″ singles, a deluxe hardback photo book and more. For those who want even more Kinks-related material, guitarist Dave Davies has assembled 13 “lost” tracks he wrote and recorded for the Kinks in the ’70s but never released. Originally released in 2003, the new super deluxe edition of How the West…, featuring California shows from 1973, includes three CDs, four LPs and a DVD (with the remastering supervised by Jimmy Page), along with a 52-page book. Zep’s 50-year anniversary also found them reissuing 1976’s The Song Remains the Same, their first live album, this time with the super deluxe featuring two CDs, four LPs and three DVDs, with a 28-page book including an essay by Cameron Crowe. The full album makes its debut in hi-res 5.1 surround sound on Blu-ray audio. Spread across four CDs and two Blu-ray discs, this expanded edition offers a variety of listening experiences, ranging from the new “Ultimate Mixes” of the album to the raw studio mixes that allow listeners to hear Lennon and the Plastic Ono Band’s original, unadorned performances, to enveloping 5.1 surround sound mixes, and the original four-speaker Quadrasonic mix remastered for the first time in nearly 50 years. 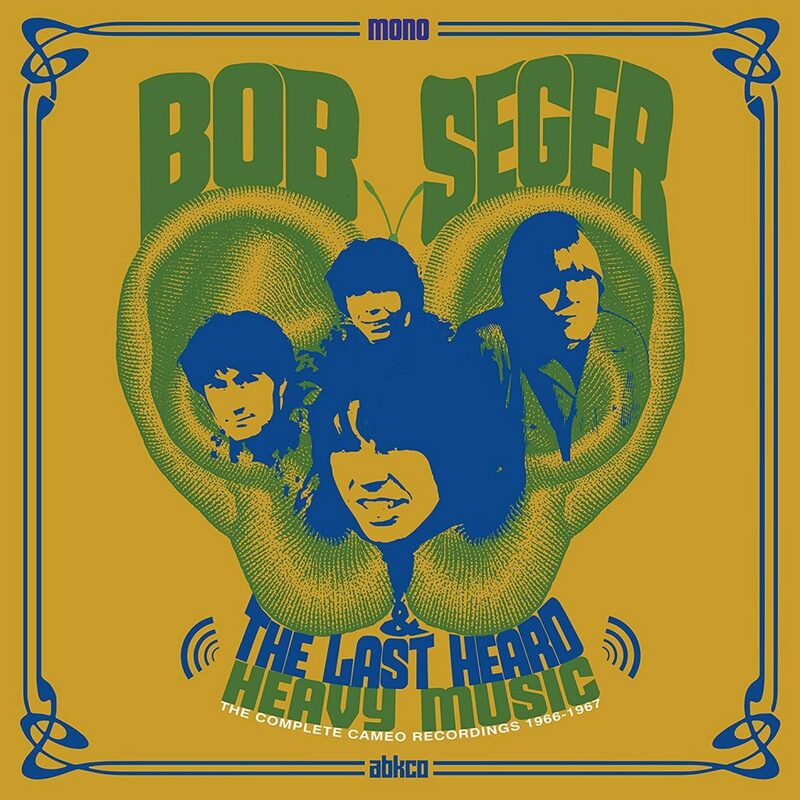 The four-CD/DVD/LP edition of the classic by the L.A. band features a few firsts for the album, including the CD debut of a remastered version made by its original co-producer and engineer, Bruce Botnick, as well as the first-ever release of the mono version on CD. Also included are alternate mixes of the album, as well as a selection of rare and unreleased singles and studio outtakes. 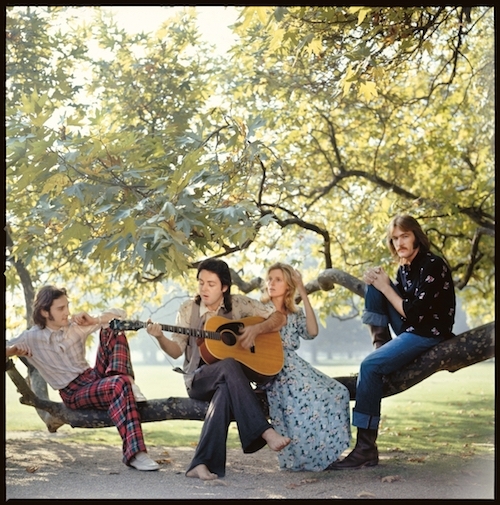 The four-disc (three-CD, one-DVD) limited deluxe edition of Wild Life, the debut album from Wings, originally released December 1971, features the full album remastered at Abbey Road plus 25 bonus audio tracks, including rough mixes of the album, original single edits, B-sides, home recordings and other previously unreleased material across three CDs. And the six-disc (three-CD, two-DVD + Blu-ray) numbered limited deluxe edition of the second Wings album (and first credited to Paul McCartney and Wings), Red Rose Speedway, released in April 1973, features three discs of audio, including the original album remastered at Abbey Road, 35 bonus audio tracks, including a reconstruction of the originally conceived double album version of Red Rose Speedway, singles, B-sides, alternate mixes and previously unreleased tracks. The reissue is available in several formats. The expanded edition includes previously unreleased demos and live tracks, rough mixes and an expanded booklet. The limited-edition deluxe boxed set includes the remastered double 180g LP, a “One” picture disc, three LPs featuring their performance from Seattle in 1989, 11 CDs, four DVDs, a 120-page book and more. 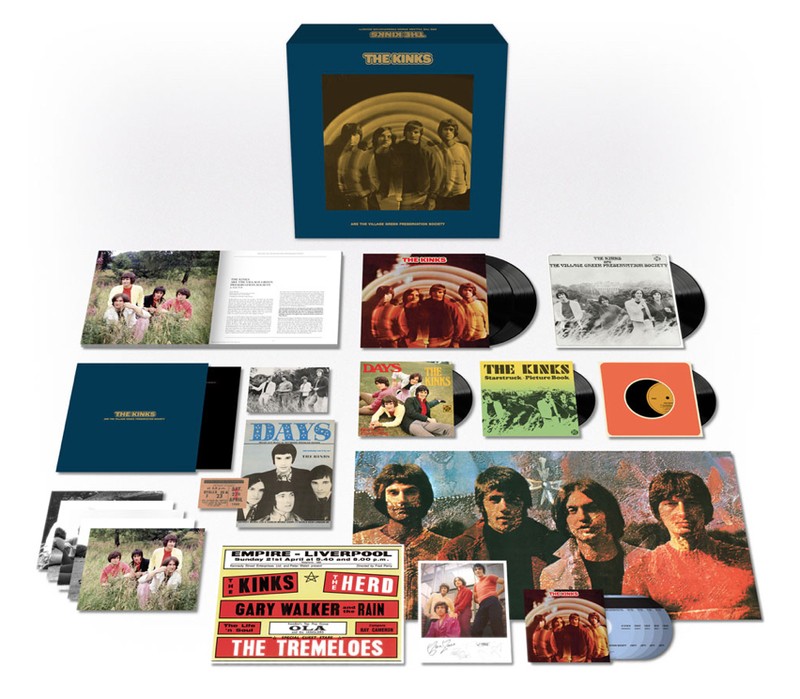 The three-CD/two-DVD boxed set features the album’s remastered original stereo mix and new stereo mix, plus rare and unreleased tracks, including a never-before-heard mono version of “Legend of a Mind.” There are BBC Radio One John Peel “Top Gear” and “Afternoon Pop Show” sessions, as well as mono mixes of the related Deram single A- and B-sides. 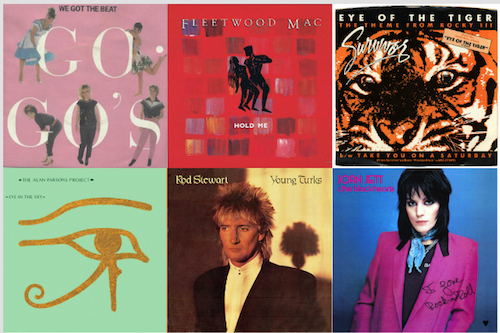 The two-disc (or two-LP) anthology features 30 tracks and was released on June 29 as a two-CD set. A 15-track, two-LP version, featuring an etching on “Side Four,” has been curated by Nash and longtime associate Joel Bernstein and includes extensive credits and liner notes. 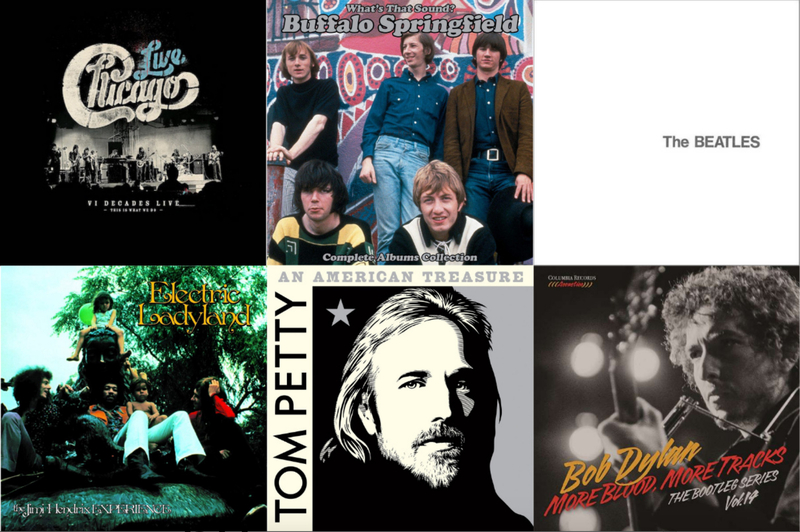 An American Treasure, the first posthumous Petty release, is available in a variety of physical formats, including Super Deluxe four-CD box set, standard two-CD set (with 26 songs) and six-LP vinyl box set. The 60-track version unveils dozens of previously unreleased recordings, alternate versions of classic songs, rarities, historic live performances and deep tracks. This five-CD/two-Blu-ray deluxe package includes all previously released audio and newly restored video from the taping of the 1968 TV special, including unused performances and studio outtakes. 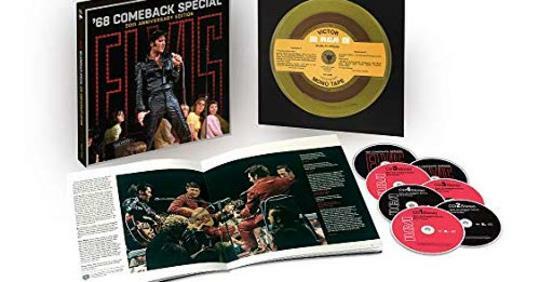 The package contains an entire disc showcasing the sessions for the special with Elvis and the Wrecking Crew, plus an 80-page book featuring rare photographs and ephemera and a new oral history on the special. The eight-disc set comprises five CDs and three DVDs, of which the first three discs draw upon the key tracks from Procol Harum’s career. Disc four features the band’s concert at the Hollywood Bowl on September 21, 1973 (with the Los Angeles Philharmonic Orchestra and the Roger Wagner Chorale), while disc five features a previously unreleased concert at the Bournemouth Winter Gardens on March 17, 1976. The DVD features over three-and-a-half hours of footage, mostly previously unreleased. There are two versions of the album: a three-CD/one-LP boxed set, as well as a newly remastered version of the original album. Both titles are also available digitally and via streaming services. The deluxe edition contains two different mixes of the album, unissued rough mixes for every album track and an unreleased 1979 concert recording of the Ramones in New York. Although the 12 individual tracks on this collection have been previously released across a smattering of posthumous albums and compilations, this marks the first time they have been assembled to resemble what this album could possibly have been. The Stones’ landmark 1968 release is reissued in an overwrap of the “inoffensive” wedding invitation art, which was initially issued as a replacement cover when the original intended album art was rejected. A limited-edition hybrid two-disc Super Audio CD is designed to look like a miniaturized replica of the 12” gatefold double-vinyl edition. The Voodoo Lounge Uncut, meanwhile, presents for the first time the full, unedited show filmed on November 25, 1994, at Miami’s Joe Robbie Stadium. The new version features 10 performances omitted from its previous release in the ’90s, and the full show is now presented in its original running order. The Super Deluxe Edition includes two CDs, one Blu-ray Audio disc and three high-quality 180-gram black vinyl LPs. The set encompasses the Abbey Road Studios 2015 remastered edition of the album for the first time on CD, along with previously unreleased and newly restored bonus content consisting of the band’s June 1979 Pinkpop Festival performance in the Netherlands. Also included is a 40-page book and other extras. This release marks the first time that all recordings by Seger’s early Detroit group are available since their original release as 45 rpm singles. The collection is wrapped in a newly designed album package, sold as a single CD, a single 180-gram vinyl LP and on all digital platforms. The historic 2002 tribute concert for George Harrison—featuring Paul McCartney, Ringo Starr, Tom Petty, Eric Clapton, Jeff Lynne and others—was captured on two CDs and two DVDs, released here in a digipak. The DVDs contain the theatrical version and complete concert, including concert highlights, interviews with the performers, rehearsals and behind-the-scenes footage. The five-CD collection contains the A- and B-sides of every single released under the Stax Records banner in 1968, including the company’s sub-labels. There are 120 songs in all, including some tracks by soul legends (Isaac Hayes, the Staple Singers, William Bell, Booker T. & the M.G.’s, Johnnie Taylor) and some from the deeper Stax catalog (Linda Lyndell, the Soul Children, the Mad Lads). The singer-songwriter dug out 42 previously unreleased tracks: home recordings, live cuts and more, some of which are decades old. Collaborators include everyone from Wainwright’s then-wife Kate McGarrigle and three kids (including Rufus Wainwright) and jazz guitarist Bill Frisell. 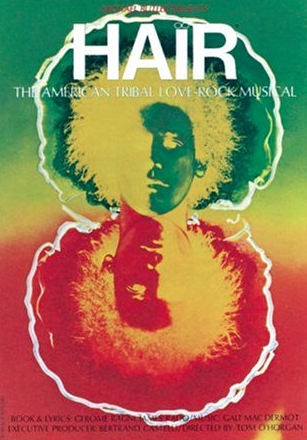 The seven-CD boxed set collects all four public shows from December 9-10, 1973, and the December 8 film shoot/soundcheck. Each is presented in its entirety for the first time, along with bonus content featuring rarities from a rehearsal, unreleased tracks and highlights from the Bolic Studios recording session.